New York State Teacher Certification Examinations (NYSTCE) is your ticket to enter the profession of teaching. It is only after you get a passing score that you are given certification by the New York State Teacher Certification committee to teach. The NYSTCE EAS exam is focused on evaluating the proficiency of the teacher candidates. The New York State Teacher Certification Examinations measures candidate’s competencies in various subjects. The following NYSTCE test practice advice is highly targeted to this specific test. However, thousands have used these test prep tips to pass the NYSTCE Assessment of Teaching Assistant Skills ATAS, Mathematics, Academic Literacy Skills Test, Multi-Subject, Elementary and Secondary Assessment of Teaching Skills as well as many others. Start your preparation early: Do not delay your NYSTCE prep, as earlier you start the review, more chances you have to pass. You will be able to cover all the topics as well, without running out of time or leaving anything out. Familiarize yourself with the testing format: For this you need to invest in good quality study materials, like the ones offered by Teaching Solutions Test Success System. Their NYSTCE Educating All Students EAS prep book, guides and study programs contain complete information about the latest format of the test. Choose the right EAS study materials: Make sure that the test prep books you choose include all the relevant topics and information. Spend considerable time to look for the right preparation guide and study materials, as your success in the test will depend highly on your choice. Spend enough time on revision and assessment: Along with test prep, you should also spend some time on reviewing the content you feel the weakest in and assess your progress each week. Taking quality NYSTCE EAS practice test questions will help you know your current proficiency for the items you’ll face on your exam date. It’ll also make you aware of the things which you need to invest more time to in your study sessions or review again. Sign-up for a NYSTCE EAS test prep class online: Get an edge over others by trying at least one of the test prep courses available. Consider getting an online or offline tutor or at least ongoing advice and help from someone who’s been in your shoes, took and passed the NYSTCE Educating All Students EAS. Teachers who passed your specific exam are in the best position to help you get a passing test score. Don’t be too proud to get tutoring or coaching help. It could be the missing link between you and figuring how to get a passing score. Learning how to pass is the goal of every New York state teacher certification candidate. It’s the passport to an exciting career and a secure future. Go to: NYSTCE Study Guides And Practice Tests By New York State Educators Who Passed now. It actually covers the real ​NYSTCE! FREE ​NYSTCE practice questions (just like the exam). By ​New York ​State licensed teachers who passed. 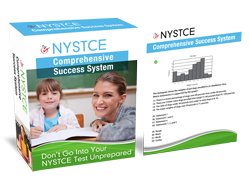 Get FREE NYSTCE Study Guide Now!